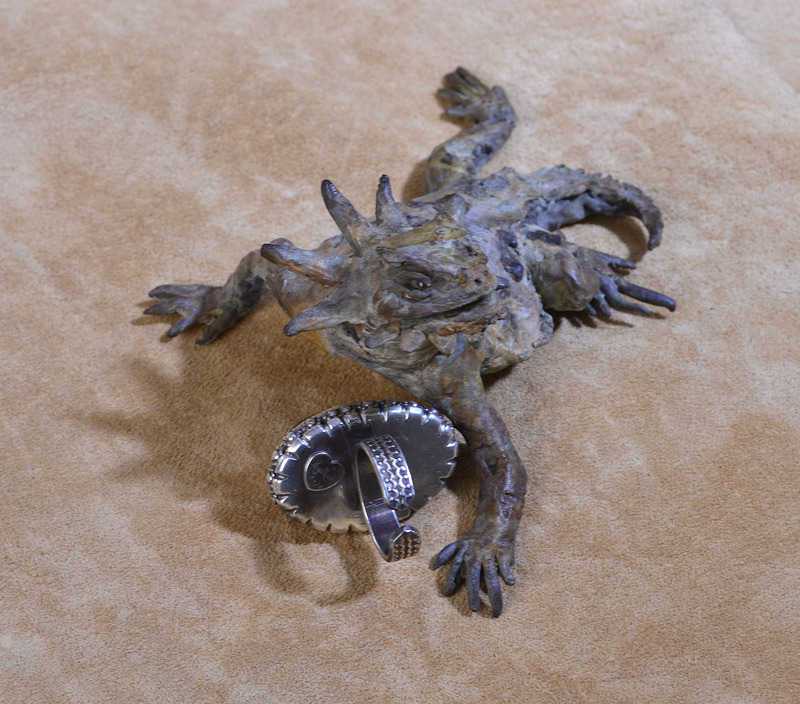 My dear bronze horned lizard by the amazing Vicki Banks is showing off my pyritized Ammonite ring. 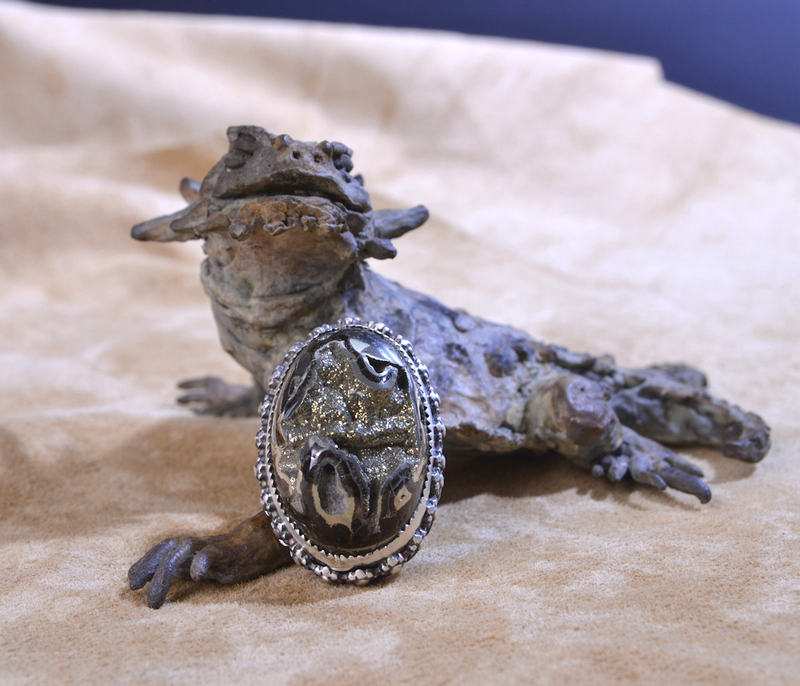 It is a very substantial, sculptural, high-domed ring, please note the measurements and weight to the right. And it sparkles like crazy, virtually shooting sparks! Ammonites, as we have discussed many times, were ancient sea creatures which were all extinct by the end of the Cretaceous, attributable to the K-Pg extinction event. Their beautiful swirling structures make them look somewhat like the Nautilus but they were actually Cephalopods and more closely related to living creatures like the octopuses, squid and cuttlefish than to the nautiloids. This specimen has been cut to show a single camera (chamber) and you can see the zigzag septa around the edge. It is a gorgeous stone, I think you will enjoy wearing it! 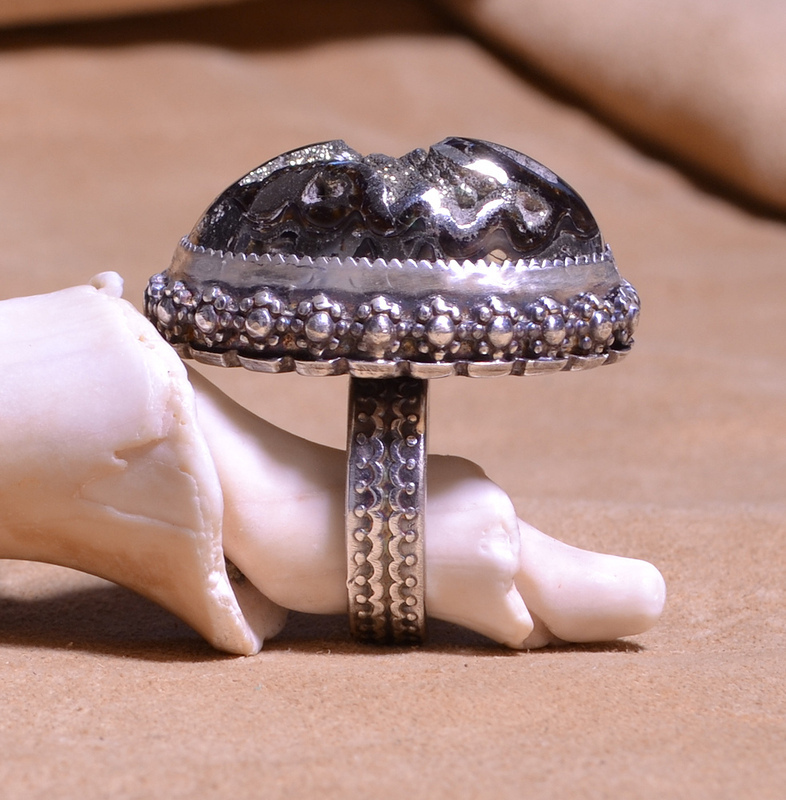 The ring is adjustable, with a heavy band that does not bend easily. Please let me adjust it for you. If you don't know your ring size, please contact me and I'll suggest a simple way of measuring.